Minister of Power, Energy and Enterprise Development Ravi Karunanayake said that as most of the political parties and politicians had contributed in equal measure to destroy and develop the country since Independence, currently the opportunity is there to develop the country beyond measure. He made this comment during a discussion held with political activists at Obeysekarapura recently. He said that though former President J.R. Jayewardene had introduced a new Constitution in 1978, that same Constitution had paved the way for the creation of a ‘demon’ to the country. Karunanayake said the time was apt to dispense with the Constitution formulated by the former President and to introduce a new Constitution that could be accepted to all citizens in this country who value humaneness. He observed that other countries had developed not due to the presence of an Executive Presidency but because leaders of such countries had acted with pragmatism and forward thinking. The Minister stressed that around 10-15 persons were currently grappling with each other to contest for the Presidency and that their only qualifications had been their parents or kith and kin being involved in politics and that such persons were devoid of genuine qualifications. He observed that in any political party there were only talkers whilst those who do work were few and far between. The Minister warned that people elect Parliamentarians to serve the masses and not to serve themselves instead. “If I was into soliciting bribes I could have obtained them through the backdoor. To do so I am not a political beggar. Some MPs’ he noted were not touching the ground. They are not people who keep their feet on the ground. We must always respect the public. 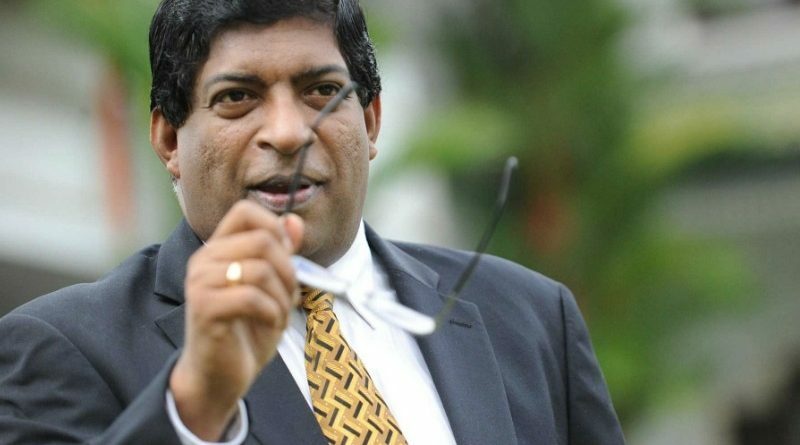 If not please do not enter politics,” Karunanayake asserted. He said that the onus was on country’s political leaders to resolve all burning issues in the country and to ensure the country’s economy is left thriving.